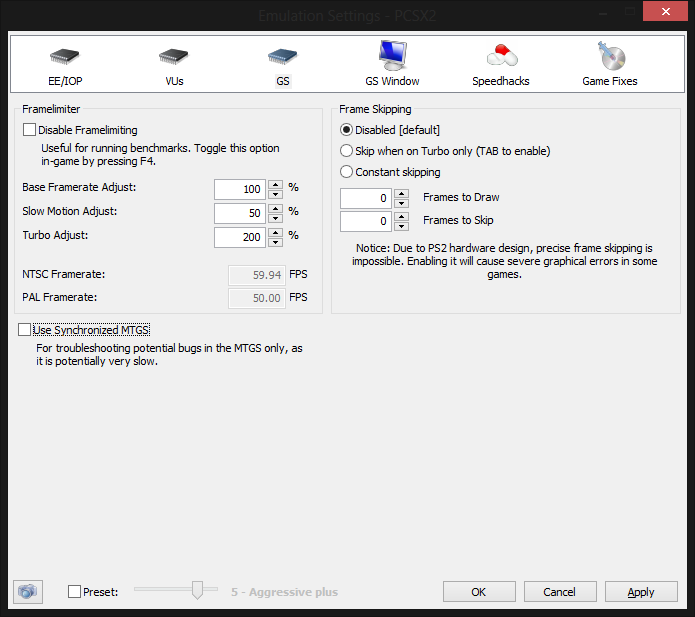 What settings and plugins should I use to maximize the game performance? Okay, give me a moment. I'll go collect the informations. I'm using PCSX2 1.2.1 (just downloaded it). The settings are untouched yet. I'm going to play Warship Gunner 2 via ISO. Played the first one on this laptop but the game was so slow and laggy to play, tried every solution that I could find but the problem is still there. I gave up after a while. I don't know how to use the spoiler tag, sorry for the trouble but I attached my DxDiag.txt just in case. Thanks, I'll give it a try later. I played it.. unfortunately.. my EE and VU went above 80% when in docks and battle. Audio slowed down. Any way I can improve? beside upgrading my laptop. 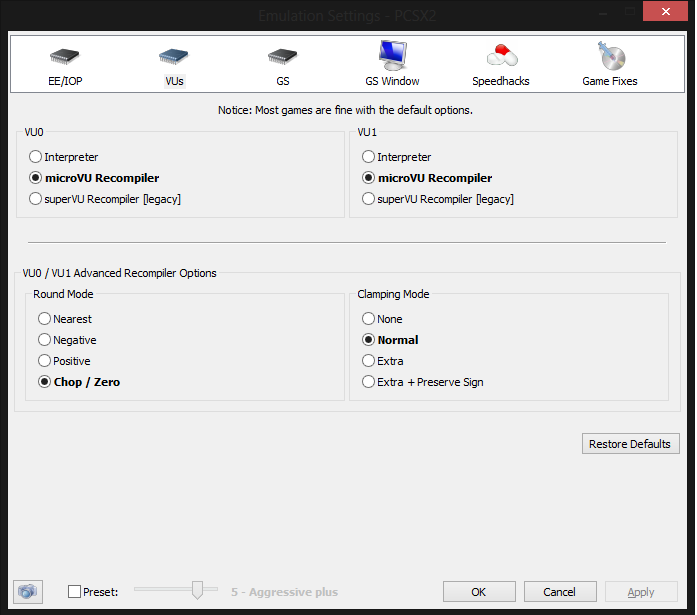 Are you using for VU1 the interpreter or the microVU recompiler? You show both settings. 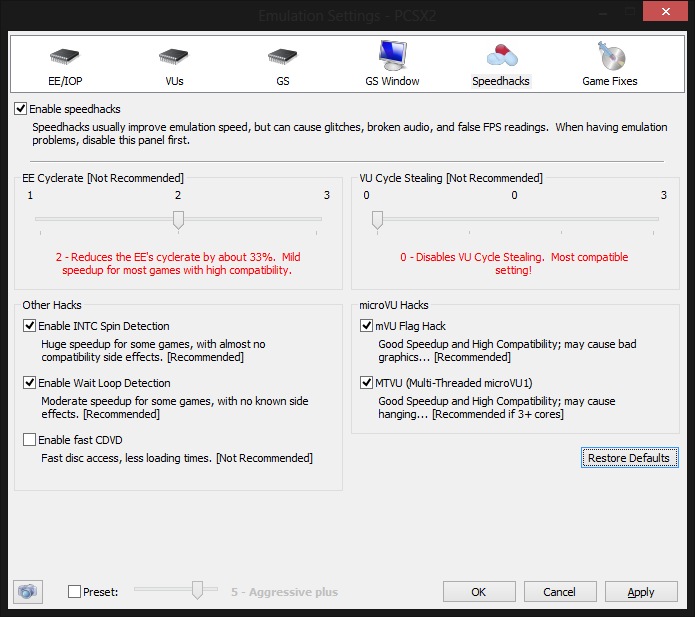 Notebooks should be set to high performance power saving plan and should be plugged in during emulation. you can use gsdx-[...]avx as plugin. There might be a slight performance boost. What is your GS% reading during slowdowns? You can disable texture filtering and 8-bit textures and look if that helps. Have you tried to further increase the VU/EE sliders? Oh crap, that's a duplicate, it should've been the EE screenshot, sorry about that. I already set it to high performance. I'll try using avx plugin when I get back to my home. Currently in college. GS% and VU% reading went around 80 - 98% during slowdowns. I've done some testing with the Sliders; currently setting it to EE = 2 VU = 1, I tried setting to the highest setting, the game performance went down significantly. 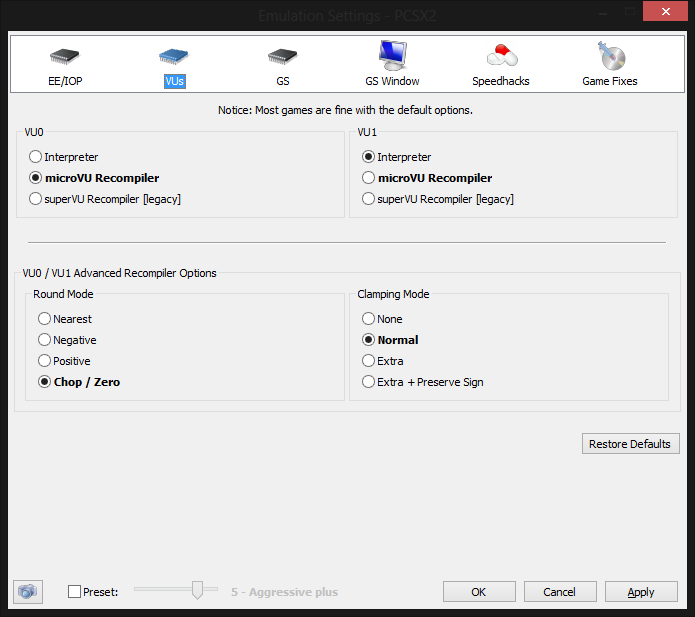 What specs on a laptop do I need in order to the PCSX2 performance to match as close as possible to the PS2? If there are none, I heard PCs are highly recommended for maximizing PCSX2 game performance, what specs should I look for in a PC? (05-01-2014, 03:55 AM)Bishop Wrote: What specs on a laptop do I need in order to the PCSX2 performance to match as close as possible to the PS2? If there are none, I heard PCs are highly recommended for maximizing PCSX2 game performance, what specs should I look for in a PC? Your processor speed should be over 3Ghz ideally, using a new intel i5 processor (desktop computer that is) for good performance.